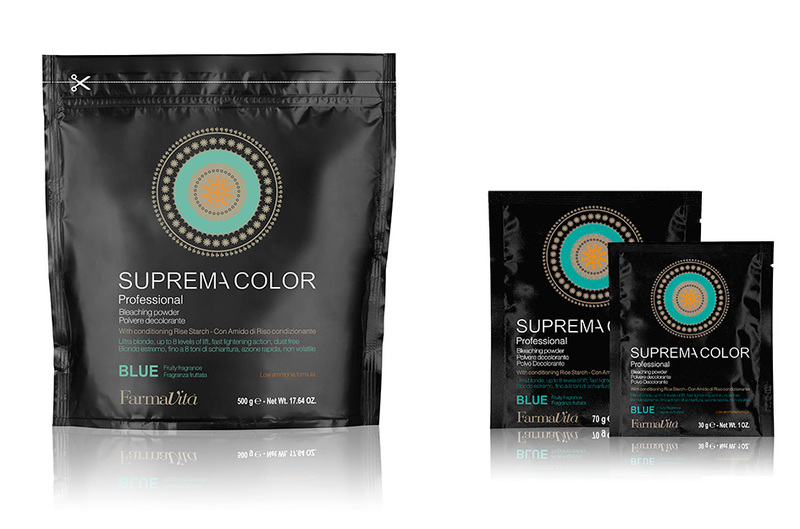 SUPREMACOLOR bleaching powder. Ultra blonde, powerful, fast acting, conditioning, dust free. Provides up to 8 levels of lift while conditioning the hair fiber with rice starch. - Free-hand/Balayage: mix 1:1 with Cream Developer at 20/30/40 vol. - Highlights: mix 1:1.5 with Cream Developer at 20/30/40 vol. - Mèches: mix 1:2 with Cream developer at 20/30/40 vol. CAUTION: For professional use only. Avoid contact with eyes. Rinse eyes immediately if product comes into contact with them. Rinse hair well after application. Wear suitable gloves. Keep out of reach of children. Use only on hair, avoid contact with scalp. Do NOT use on damaged hair. Esternal use only. Can cause an allergic reaction. A preliminary test should be performed before use. Do not inhale or ingest.